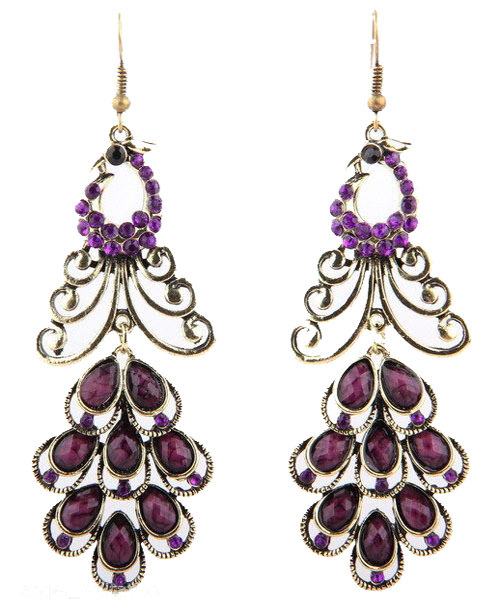 Wear Lilita purple chandelier earrings for an evening party. The piece consists of small round beads and drop-shaped sparkling crystals trimmed with aged gold metal details. Hook fastening for pierced ears. Shop today from one of Australia's favorite online jewellery stores. Fun, formal, chic or unique we have it all!